Apple today, introduced a new web page called Families that highlights the tools available to parents to make sure that their kids are safe and sound. The first section of the site shows how children can be stopped from loading apps, playing games and viewing content not intended for their age group. 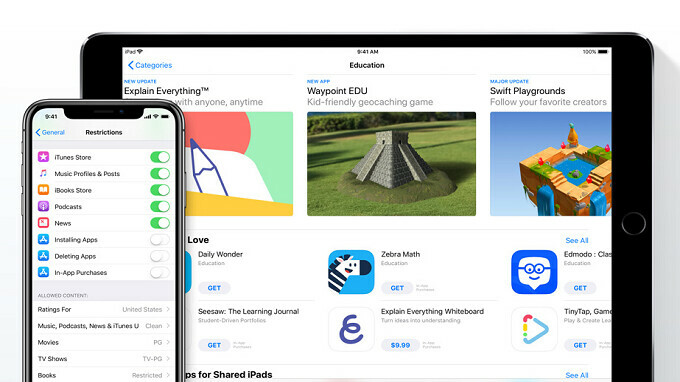 For example, the page mentions how the Kids section of the App Store allows parents to select a certain age range for the apps that their children can choose from. 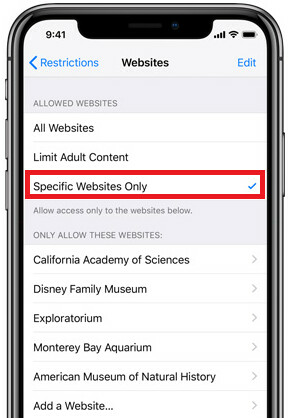 Parents can not only prevent their kids from installing new apps, they also have the ability to turn off the mobile Safari browser on their iOS powered phone or tablet. The new web page also shows how parents don't have to keep texting the kids to find out where they are. With Find My Friends, Mom and Dad can know exactly where their kids are, how far away they are from them (in both distance and time) and can receive alerts whenever they leave their current location and arrive at a new one. In Messages, parents can set up a group chat with the entire family and tap on the "i" icon to send their location, see the kids' location, and view pictures taken by any member of the family. Family Sharing allows each member of the family to have the same apps, movies, TV shows, music and books. A photo album can be created from pictures snapped on the iPhone or iPad and up to 2TB of cloud storage can be shared by the family. And Apple says that it is making teen driving safer thanks to its Do Not Disturb While Driving feature. When enabled, a driver with an iPhone will not receive any phone calls, messages or notifications. Night Shift makes the iPhone and iPad screen warmer by removing the blue light that can make it harder for users to fall asleep at night. And Exercise Rings on the Apple Watch give wearers an incentive to exercise and stay fit. When police need to be summoned immediately, a quick call to 911 can be made. With the 2017 models, hold the side button and either volume button until a slide bar appears on the screen. Slide it to activate the call. On the Apple iPhone 7 or older, press the side buttons quickly five times and the slide bar will appear on the display. Visit Apple's new web page and learn how iOS can help keep families safe and sound. Simply click on the sourcelink below. In this day and age, I doubt parents can keep their children from inappropriate materials for long. Back in the days; everything used to be in physical form. Hard to obtain, hard to smuggle in, and even harder to stash safely and away from the prying eyes of the parents but now... A small MicroSD card, smaller than the nail on a finger can store thousands of photographs and enough videos to last a whole bloody day. And fooling security is simpler than ever thanks to proxy servers. Besides, most parents don't care about their childern anymore. They themselves are slaves of the likes of FaceBook and Instagram. And then there are politics. No wondet that Racism, homophobia, Nazism, populism, and religionism are on the rise and are currently on an all time high. A child's mind is like a clean slate. Very easy to manipulate... I shudder to think about the future. Our future as a specie... Oh well... "A house divided by itself cannot stand." Abrham Lincolm. Apple still doesn't have a clue. It's not about permanently disabling stuff, it's about setting time limits and schedules, like don't let the teenager access Instagram and Snapchat during school hours or after 1AM. Perfect example of jumping to conclusion and bashed an oem you don't like without doing your due diligence. There are options of time limit also available, you can set time limit for screen time or for a specific app. This is the problem with this world, where no one wants to take the time and research before they jump to conclusion.